Better treatments for multiple sclerosis (MS) are closer than ever, such as B cell depletion therapy, according to findings published in Science Translational Medicine. 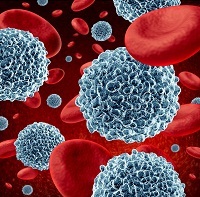 Researchers from McGill University in Canada compared the B cells of MS patients and healthy patients, specifically examining granulocyte macrophage colony stimulating factor (GM CSF), in order to determine their role in interactions between other immune cells within MS. The researchers found that GM CSF producing B cells were more frequent and more prone to activation in MS patients than their healthy subject counterparts. The researchers determined the B cell subset was able to activate the pro inflammatory responses of the myeloid cells of the immune systems, which they extrapolated meant that the myeloid cells became less pro inflammatory after B cell depletion. The researchers believe that B cell depletion therapy can be effective because it decreases the number of GM CSF producing B cells which can then limit myeloid cell and T cell contributions to new disease activity.